In a move that will help the country’s municipal bodies raise money for infrastructure projects, the Asian Development Bank (ADB) and the ministry of urban development are considering creating special purpose vehicles (SPVs) that will allow this. Under the country’s existing law, municipal bodies cannot borrow from multilateral lenders such as ADB and aid agencies. ADB is meeting local administrations in Ahmedabad and Vadodara in Gujarat, and Jaipur in Rajasthan, according to an executive at the bank who did not wish to be identified. The institution is also looking to lend to a water supply project in Nagpur, Maharashtra. “ADB has come forward to work for private sector participation (in such projects) also. 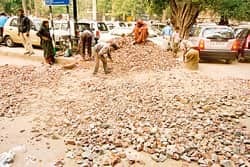 They are exploring the special purpose vehicle route because current regulations do not allow urban local bodies (municipal administrations) to approach aid agencies for loans," urban development secretary M. Ramachandran said. “The special purpose vehicle could also include a private sector partner." However, both ADB and the municipal corporation will require several clearances from the finance ministry and the Reserve Bank of India, including one that the bank needs to extend sub-sovereign loans as those extended to entities other than state and the Union governments are called. “The loans will be given purely on the credit rating or performance of the urban local body, so there is no sovereign guarantee issue," said an official at the ministry of finance who did not wish to be identified, adding: “They will require clearances to allow sub-sovereign loans though." “So far, India has not allowed multilaterals (multilateral lending agencies) to lend to urban local bodies, although they have been negotiating (for this) for a long time," said O. P. Mathur, principal consultant with the National Institute of Public Finance and Policy (NIPFP). “Articles 292 and 293 of the Constitution do hint vaguely that this is possible, but it would require clearances from the ministry of finance." However, in keeping with the 73rd amendment to the Constitution mandating decentralization of governance, the urban development ministry is supporting ADB—it wants urban local bodies to be allowed to float SPVs. This will allow them to borrow directly from lenders. Otherwise, they will have to route the loan through state governments. Sekhar Bonu, senior urban development specialist (South Asia department), ADB, said the bank has been in touch with the department of econo-mic affairs (at the ministry of finance) and the ministry of urban development to make the SPV route possible. However, he added that it could take as much as six months for the first such deals to be concluded. “Once one or two deals are struck, there will be a precedent and it will become easier to convince other cities," he said. ADB is already working towards identifying bankable projects in the 63 mission cities covered by JNNURM. These cities have agreed to make their local management more efficient and transparent. As part of the programme, all 63 cities are currently undergoing a credit rating exercise, which will identify where they fall short of governance parameters. “The environment (for market-based borrowing) is very congenial right now," Bonu added. “We are basically trying to identify city corporations that have a good track record of fiscal management." “Multilaterals such as the ADB are beginning to see the value in sub-sovereign loans. And the positive from this (for the local bodies) is that loans such as these have long dated maturities. And municipal debt has to be long dated—so multilaterals such as the ADB will fill that gap," said Ramesh Ramanathan, national technical advisor, JNNURM. Analysts say floating SPVs would also insulate lenders from risks that are commonly associated with lending to municipal corporations. Akash Deep Jyoti, head (corporate and infrastructure ratings), Crisil Ltd, a credit rating firm, said this route would allow lenders to better monitor the project, place “enabling covenants related to accounting" and enforce “restrictive covenants" on the utilization of revenues from the project in an attempt to prioritize loan repayment.